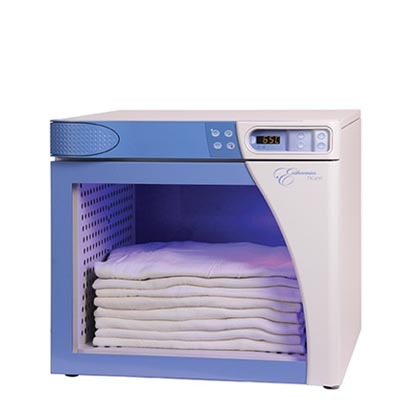 EC350 Blanket Warming Cabinet - J.D. Honigberg International, Inc. 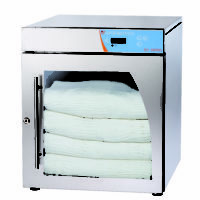 Patient warming helps reduce surgical site infections and aids in the recovery process. Use the affordable, durable countertop EC350 blanket warmers in the operating room or labor and delivery rooms to keep patients warm throughout the entire procedure, reducing surgical site infection risks. 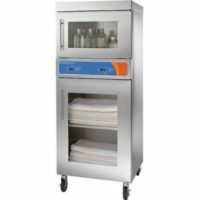 The durable, rugged stainless steel warming units are mobile with optional heavy-duty casters, allowing nurses and aides to maximize their time. The Titan Series blanket warmers quickly and efficiently heat blankets to precise temperatures using WarmSafe™ zone heating technology. 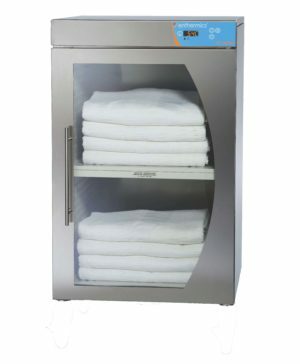 The heated shelves ensure every blanket is safely and evenly warmed by adjusting temperature throughout the cabinet. Mix and Match: Any size for any space. 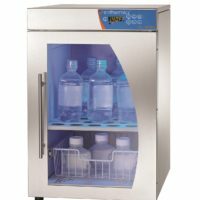 Pair with a Titan Series fluid warming cabinet to complete your patient warming system. Stack EC250 blanket warmers on top of the EC350 warmers.